رغم أنه لم يستخدم هذه الدبابات في عداد الجيش العراقي تبرع بنحو 110 دبابة منها الى الاردن وقتها. 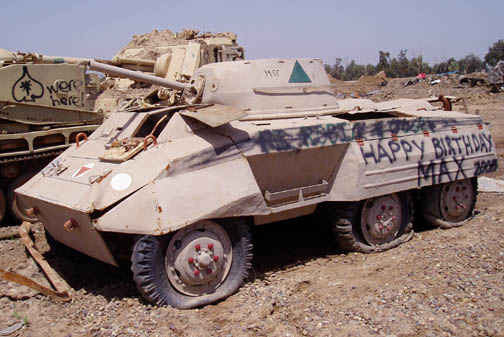 TangoIII كتب: Here is a pic of Iraqi M-24 Chaffee Light tank and they Have been used in Iraqi Army until 1975. In the background of that photo you can also see Churchill tanks, made in the UK. 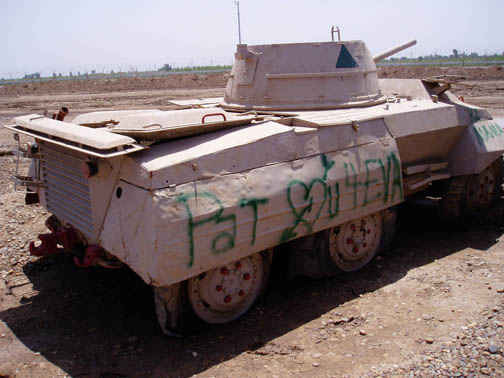 The Iraqi Army operated Chruchills and also Centurion MBTs during the 1950s. Don't know what happened with them afterwards, though. Perhaps Centurions were given to Jordan following the June 1967 War. BTW, the photo above was taken in the course of an Iraqi Army parade staged during the visit of the Saudi King Saud Ibn Saud to Iraq, in 1956. On the same occassion, the RIrAF also staged a 'firepower demonstration' for the Saudi visitor, including mock-attacks by Furies, Vampires and Venoms. كان يجب الاحتفاظ بها في متحف ..